Hi Everyone! Tiffany here on the Chibitronics blog today with a simple light up card. When I first saw the Message in a Bottle stamp set from Honey Bee Stamps I feel in love with it and thought it will make a cute card with a mini world in a bottle. Going with a ship in a bottle theme, I created a miniature ocean scene with a light up ship. 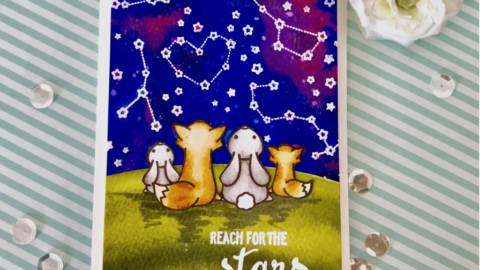 I first created the front panel of my card by stamping the bottle image from Honey Bee Stamp’s Message in a Bottle onto 5 ⅕ x 4 ¼ white card stock (using the misti). I also stamp out the water image from the same stamp set onto scrape card stock and color it with blue copic markers. For my ship, I used the MFT’s Party Like a Pirate stamp set . Carefully fussy cut the ship out and also cut out the portholes for my lights. I position all my pieces onto my front panel and trace the boat portholes position and then cut it out with a penknife. Place my front panel over my card base and draw in the position of my porthole for the placement of my LED light sticker. For my light circuit I first position my LED sticker right in the middle of the 3 circles, draw in my battery onto the lower right hand corner, and connecting both with my negative and positive circuit. I first place down my negative copper tape connecting my LED sticker to the battery and the place small pieces of double layer of foam tape around where the battery will be placed. 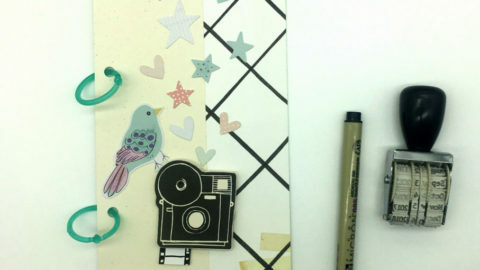 Next, create a bridge out of card stock, wrap a piece of copper tape around it and then connecting it to the positive side. Tape down my bridge on top of the foam tape and placing down my LED light sticker. To create a slider tap, I trim a piece of card stock to 3/4 “ wide and 1” long and slide it between the battery and the negative copper tape. Place down double layers of foam tape around my card base and then taping down my front panel over it and then glue down my ocean water and ship on top. To finish off my card, I stamped my sentiment onto vellum paper and heat emboss it with silver embossing powder. I hope you like my card :D.
How to make light up love berry card using reed switch.Hidden Message Lights Up! What a great card! I love the ship in a bottle idea. Yes I loved the card a lot !